I firmly believe we are in a golden age for television. With the rise of original television programming on cable, some of the best shows that have ever been produced are being made right now. In fact, you could argue that there is more innovation and creativity in television right now than you can find at the movie theater. There’s a reason that many movie stars are willing and eager to ‘slum it’ on television these days. Sure, there’s lots of crap out there on the airwaves, but there always has been and probably always will be. That doesn’t diminish the awesomeness of so many great shows. 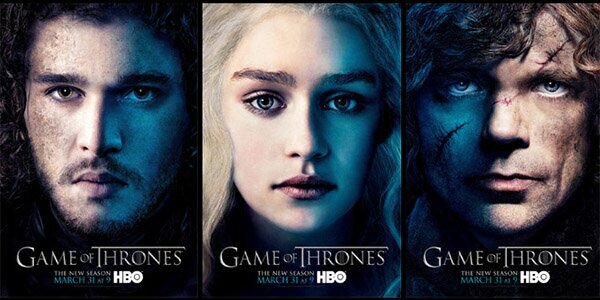 My money is on these three making it to the last book. I won’t bet on them surviving, but I think they’ll make it to the end. No one else is safe. If you’re not convinced that right now is a special time in television history, consider this: George RR Martin, author of Game of Thrones, one of the most popular shows on cable, spent most of the early 1990s working as a writer for television. He shopped around pilot after pilot, each of which was pruned down to make it filmable until all the creativity he had put into them was diluted and dull. Nothing he wrote during that period got successfully produced, so he left Hollywood and threw himself into writing an epic fantasy series that he knew would never, EVER be able to be filmed. Yep, he wrote Game of Thrones. On top of all the great shows currently being made, the other aspect of modern television I love is the arrival of the marathon viewing session. Suddenly, with the help of the internet, if I want to watch ALL of a show RIGHT NOW, I totally can. Well, if I want to give up on sleep and going to the job that helps me pay all my bills. Still, it’s not uncommon for me to decide I want to watch a particular show and I’ll mainline all of the episodes over the next few weeks. Netflix even started an advertising program that advises viewers to ‘Watch Responsibly’. What does any of this have to do with gaming? To a certain degree, this calls back to my previous article and where we get our inspiration for games from. Back in the day, there were really only a handful of television shows that were popular enough to get made into their own roleplaying games. Sure, there were Star Trek and Doctor Who games, but it wasn’t until the 2000s that you started seeing more shows get licensed out to game developers. Now there are tons of shows that offer great settings for games, but they might not be quite popular enough to get their own game book. 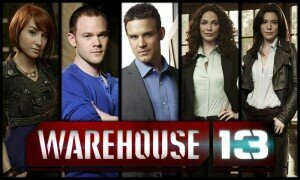 One of those shows is Warehouse 13 from SyFy. Last fall, I decided I would give it a watch since the first couple seasons had shown up on Netflix. I’d heard some good things about it and was looking for some entertainment fluff to watch in the background. Over the course of the next few weeks, I watched everything that was available and had started looking for ways to get my hands on the more recent episodes. I liked the characters, enjoyed the stories, and LOVED the premise of the show. The show wasn’t ground breaking, but it was fun and it seemed like a pretty damn solid premise for a roleplaying game. In fact, I started thinking more and more about running a game based on the show, so I decided I would turn it into one of my convention one-shots. The question then became how to take a show from screen to game table. Since there was no existing Warehouse 13 game published, I couldn’t just turn to a pre-existing source and run with that. Having run Doctor Who, Serenity, and Supernatural games, I know it’s a great asset to have a source book right at your fingertips, not to mention having the rules tailored directly to your setting. That meant I was going to have to figure out those bits all on my own. Think of it as an attic. For HISTORY! Luckily for the first part of this, the internet was – as always – there for me. Every show that that has developed any sort of fandom has a community of folks online that want to compile and catalog all the relevant information for that show. 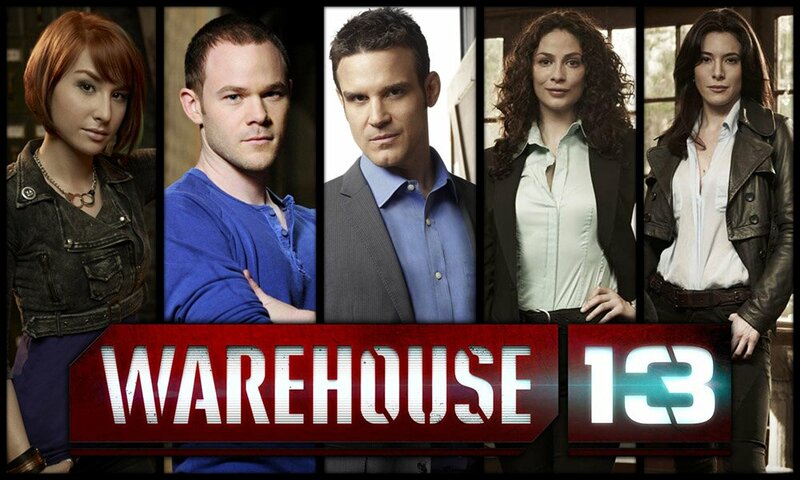 Warehouse 13 is no exception. There’s an excellent wiki dedicated to the show that gives a lot of great information on each episode as well as all the characters. But the best part for my needs is that they’ve cataloged every reference to the artifacts so central to the show’s premise. A few clicks of the mouse and I’ve got a huge list of ideas for a game. The next piece of the puzzle is to decide which game system to use. Pretty much any system can be made to do anything you want it to, provided you use a big enough hammer to get a square peg into a round hole. Of course, just because you can manhandle a fantasy designed system into working for a hard-boiled detective game doesn’t mean you should. There are plenty of generic systems out there that can be used for something like this. Older gamers will probably instantly suggest using GURPS, one of the original ‘generic’ roleplaying games. Hell, its name even means exactly that: Generic Universal Role Playing System. When I first started gaming, it was one of the very few options you had if you wanted to use a generic system. Having cut my teeth on D&D, it was a revelation to suddenly find a system that let me build a character from the ground up instead of having to use a template. Nowadays, there are more options, with Savage Worlds seeming to be the go-to for a non-setting-specific game system. Their tagline is Fast, Furious, Fun, and that’s usually true with the right GM. It’s a fairly easy system to pick up, both for players and GMs, and there’s enough flexibility to do whatever you want. Neither of those systems really works for me as a GM, though. GURPS is far too crunchy with a heavy focus on the mechanics. Yes, you can make absolutely ANYTHING you imagine with the system, but there’s a lot of work required in crunching numbers to get the stats to work out how you want. Savage Worlds is a little better, but even that can get a bit bogged down in the crunch. Having run a (short) campaign using the system and having played it a decent amount at conventions, I find I’m not a fan of the way the edges and hindrances are so extremely specific about the benefits they give. Ultimately, for my GMing style, I want something a bit more story driven. I like having the crunch of the system to know general limits and provide some direction, but I also want it to be more focused on letting me and the players tell the story without getting too bogged down in the mechanics. Fate Core has been generating a lot of buzz lately, so it might be a perfect system for something like this. Unfortunately, I don’t have easy access to the book and I’ve only played it once, so it’s not something I’d feel comfortable trying to GM for. I kept thinking that I really wished I had a system for Warehouse 13 like Cubical 7 put out for their Doctor Who game. 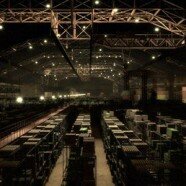 Then it hit me… There is absolutely NOTHING stopping me from using the Doctor Who system for a Warehouse 13 game. The system has a strong emphasis on story, the stats and skills are easy to understand, and the special abilities could easily be adapted from one setting to another. When it comes down to it, both shows have a mostly modern setting that allows for ‘fanciful technology that is most certainly not magic’. I’m already fairly adept at running Doctor Who, so it’s an easy enough transition to take the system and adapt it to a new setting. These five, plus Artie, are the characters I will turn into PCs. I thought about Mrs. Fredericks, but she’d be tough. Now I just need to put my nose down and start building some characters. 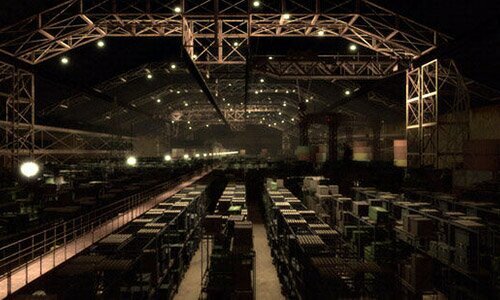 I’m absolutely planning to run a Warehouse 13 game at Con on the Cob this fall. If you’re interested, you might get a chance to play Artie or Claudia or maybe even HG Wells. Have you ever taken a TV show from scratch and turned it into a roleplaying game? I’d love to hear what you did and how it turned out for you.